Why would I need self storage in Wellington, FL? There are a variety of reasons why you might need self-storage in Wellington, FL. How much is a storage unit in Wellington, FL? The cheapest storage unit in Wellington, FL is $42.00 per month. What size storage units do you have available in Wellington, FL? In Wellington, FL we have sizes that range from 5'x5' to 10'x30' to suit your storage needs. How much is it for a 5'x5' storage unit in Wellington, FL? The cheapest 5'x5' storage unit in Wellington, FL is $42.00 per month. Wellington is a mid-size village in Florida's Palm Beach County, considered part of the greater Miami metropolitan area. The community is self-described as having a family-friendly atmosphere, a reputation they uphold with a number of local events, recreational programs and children's play spaces. It's also known as the home of an extremely active equestrian scene, drawing international attention for its participation in equestrian sports. The city of Wellington started in 1951, when Arthur William Glisson and Charles Oliver Wellington purchased the land and began planning the city. At the time the land was mostly swamp area, but the state government created the Acme Drainage District to undertake the draining of the land. This act allowed cities to be built in areas that would otherwise be uninhabitable. Before Wellington truly became a community, it was one of the largest strawberry patches in the world, with 2,000 acres dedicated to the fruit. In 1972, the planned community of Wellington earned approval from Palm Beach County. For two decades it was a bedroom community with limited amenities, until it was officially incorporated in 1995. Like many areas of Florida, Wellington is dotted with natural swamp areas filled with lush greenery and an abundance of wildlife. The city has two dedicated natural preserves that protect the land and educate the community about the native flora and fauna. These preserves are a popular attraction for locals and visitors alike, giving you the opportunity to take a peek at what Wellington looked like before it was developed into a modern-day town. Peaceful Waters Sanctuary is the city's smaller preserve, totaling 30 acres of natural wetlands. There's a mile-long walking trail and extended elevated boardwalks, so you can experience the scenery up close. It's a popular spot for photography enthusiasts and also offers several educational displays about the local wildlife. The Wellington Environmental Preserve is Wellington's major preserve, covering over 350 acres. 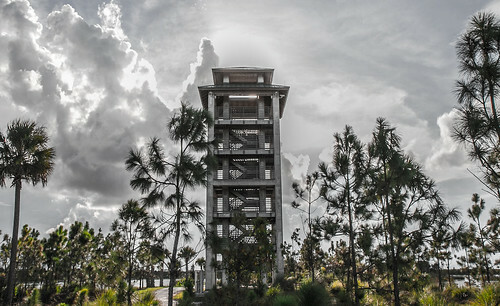 This park is unique in that it serves as a man-made rainwater reservoir, cleaning the water before it reenters the Florida Everglades. There are several walking trails and educational centers throughout the park, which houses a population of native birds and animals. The schools in Wellington are part of the Palm Beach County School District. Several of the local schools have received high ratings for academic achievement and student performance. You can also consider one of the city's several private schools. There are faith-based,secular and college-prep campuses to choose from, as well as a number of options in neighboring cities. Utilities: Water and sewer services are administered by the Wellington Utility Department. The community's energy provider is Florida Power & Light. Garbage and Recycling: The Wellington Public Works Department provides curbside collection of trash, recyclables and yard waste. You can view a community map on the Village of Wellington website, in order to locate your specific collection zone. Transportation: The Palm Tran Bus Service operates the public bus routes in Wellington and its surrounding communities. Although the median home price in Wellington is far higher than the national average, it's still fairly affordable when compared to the Miami-Fort Lauderdale metro average. The community's housing market is very active, with plenty of options to consider. Because there's such variety in the types of available housing, it shouldn't be too difficult to find something that works for your budget. Our lowest priced units in Wellington, FL average $42.00 per month. 46 people have reserved units in Wellington, FL in the past 30 days. There is 1 location within Wellington, FL's city limits. There is 1 location in Wellington, FL that offers AC and Heating features.